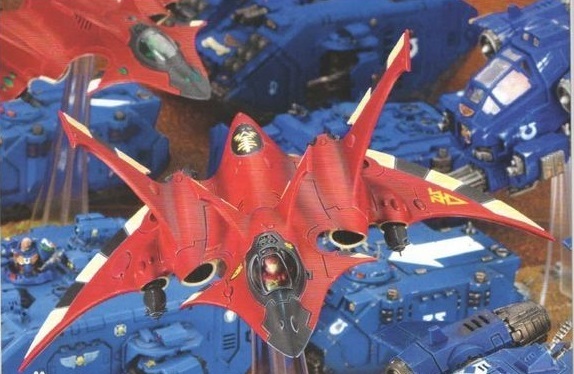 More pictures of the new Eldar! More leaked photos it seems! Apologies, but theres not much I can add to this one. 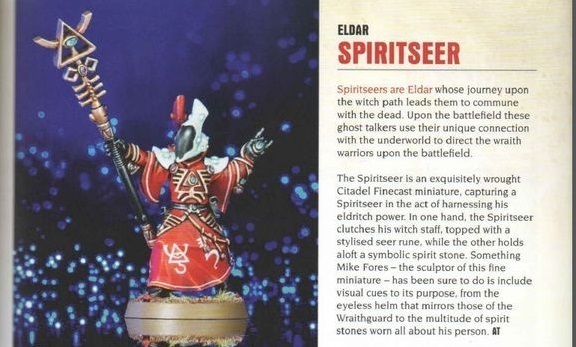 When I previewed some pictures of the new Eldar release in White Dwarf that has been leaked, I figured those few blurry pictures were all the internet was getting. Guess I was wrong. So here are some more pictures. Oddly enough these ones came watermarked before I removed them, so perhaps someone is doing some sneaky shenanigans to keep track of just how far the pictures are spreading. The new Eldar Flyer. Shiny! A clearer shot of the monstrous creature wraith knight. We can see from this GW are extending the same design atheistic from Eldar vehicles to the rest of the new range. A spiritseer. 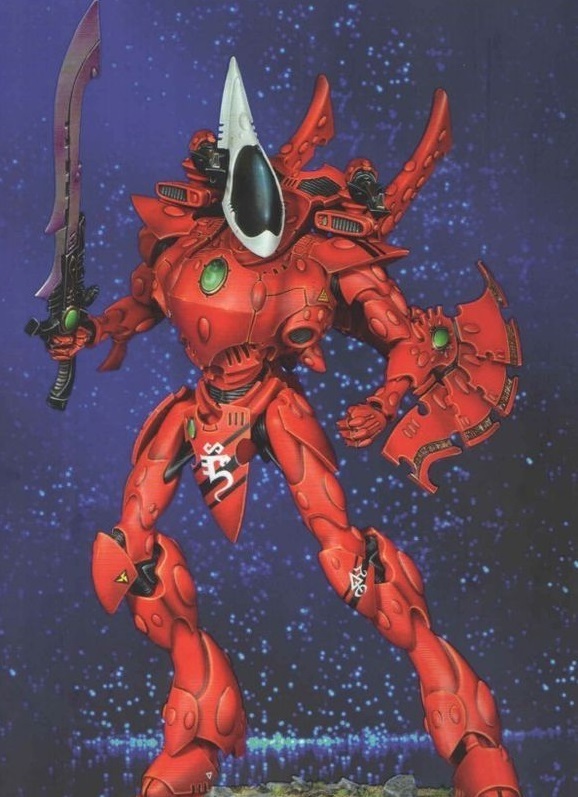 GW are going with the faceless vizor look they gave to some dark eldar models, which is a nice point to show the two species are linked, no matter how much they wish they weren’t.